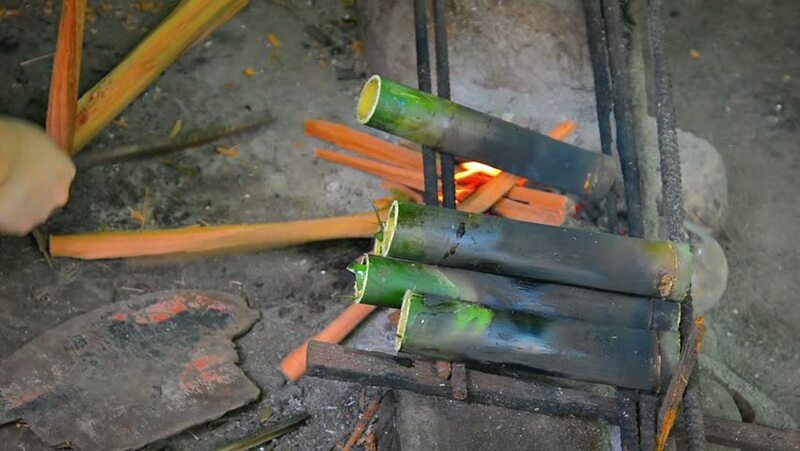 FullHD video - Local artist chopping kindling with a machete and adding it to a fire under a row of short bamboo tubes. drying them for use as a craft medium. hd00:10A man saws a Christmas tree in preparation for delivery. hd00:35A light blue crane slowly starts moving uphill in order to pick up and carry a few tree trunks. hd00:05The carpenter is using a saw to cut the bamboo.